i am enterprising on a new obsession, but it requires a bit of history to explain. last year, we were inundated with beets from the summer/fall CSA farmshare, so i had to find many ways to use them before they went off. problem was, i am the only person around here who likes beets, and then, only once in a very blue moon. i was able to put the leafy tops to use as "sauteed greens" (and they really are quite tasty as such), but there was no amount of magic that would make the bulbous roots any more appealing to my favorite animator. enter pickled beets. i did not want to buy a bunch of canning equipment (canner, jars, rubberized gripper thingy for moving hot jars) just to produce a few quarts of pickles. luckily, there is a lazy approach to doing everything. i purchased a few large jars of the type that are usually used to display dry goods (pasta, beans, that sort of nonsense), and i skipped the hot water bath used in canning and settled for fuss-free refrigerator pickles. i boiled, peeled and sliced the beets, then layered them with sliced onions, a few sprigs of fresh herbs, and some pickling spices. i made a hot solution of vinegar, water, and salt, filled the jars with the mixture, and left them to cool to room temperature before placing the jars in the fridge. after several days, i speared a slice on a fork and presented it to my favorite animator for tasting. (once we got past the many goofy faces of protest) he nibbled the very edge of the disc, chewed a few times, then opened wide and grabbed the rest of the slice from the fork. yep... he was hooked. fast-forward to the present, and he has already put in a request for pickled beets for the upcoming season. naturally, i see this as an opportunity to delve deeper into the world of canning (and as an excuse to buy some proper equipment). unfortunately, attempting to learn more about preserving and storing food is like throwing yourself down a rabbit hole and emerging in Prepperland. i have absolutely nothing against being prepared for emergencies—some of my favorite people have basements that look like supermarket aisles—but the SHTF rhetoric tends to inspire overzealousness (bordering on straight-up insanity) in individuals who seem more than willing to press the self-destruct button, just to put their "plan" to the test. seriously, it is scary at times. one minute you are reading a relatively sane post about food preservation, and a minute later, you are eyeball-deep in comments about chemtrails, mind control, and every manner of global conspiracy. i just want to eat tasty pickles and maybe make some jam. i am not stockpiling for World War III. so, there i was, weeping for the future of humanity, while browsing for books on Amazon and simultaneously cycling through many tabs opened to assorted food storage websites, when it hit me: i need to be stopped. i tend to preface every new activity with tons of research, which (inevitably) leads to the need to purchase ALL the equipment, because that is how my brand of OCD works. it would be acceptable (or even useful) if i had an acre or two worth of produce to 'put up' for the winter, but i am likely going to buy a couple bags of beets and amuse myself for an evening turning them into pickles. period. this does not require collecting more junk equipment in my already crowded kitchen cupboards. beyond that, i blinked for a minute and found myself looking at vacuum sealers. makes sense. if you are gonna go, may as well go all the way, right? seriously... i need to be stopped. elsewhere, i am gearing up for marathon amounts of summer reading. as a general rule, i pick a theme (or author) and roll with that for the season. i decided to take a break from cozy-mysteries, and try a bit of fantasy for a change. 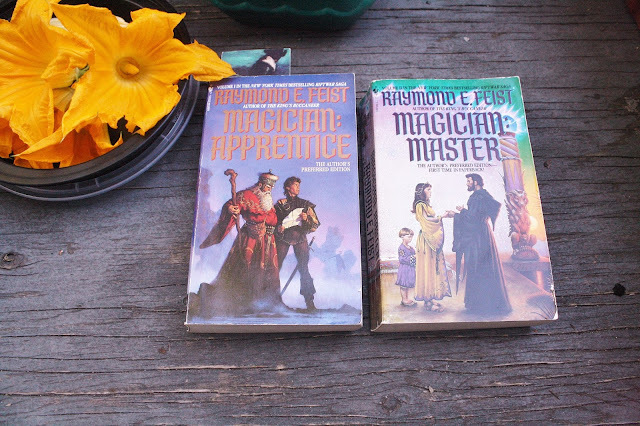 i started reading Raymond E. Feist back in high school, and i always intended to read the rest of the Riftwar cycle, so i am returning to the very beginning with the Magician novel(s). 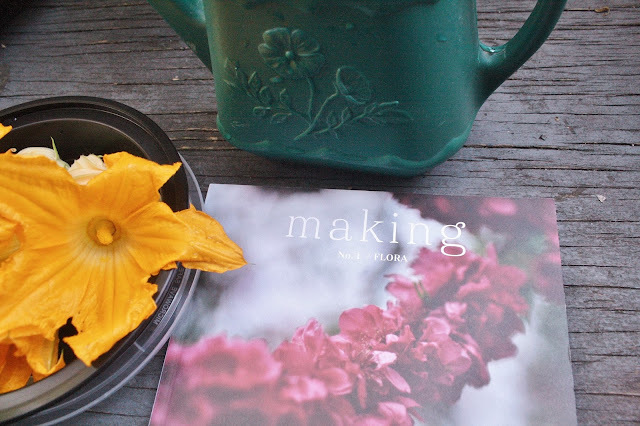 i am also drooling over Making, a new-to-the-market, multi-craftual magazine. the first issue has a "flora" theme, while the second issue (due out later this year) will have a "fauna" theme. there are recipes, line drawings (of the 'adult coloring book' variety), and assorted craft projects, including beading, embroidery, and these super-cute sewn/quilted coasters. 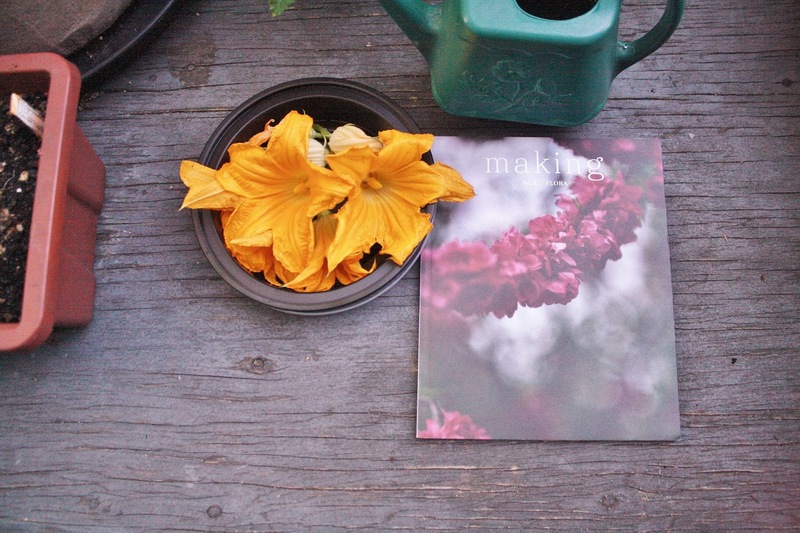 however, Making is first and foremost a knitting magazine. the Editor (and resident Photographer) is knitwear designer Carrie Bostick Hoge. i love the simplicity of her garments, several of which are on my must-knit-before-i-die list [notably, the Shoals Tank, Maeve shrug, Maude cardi, and Portland Pullover]. 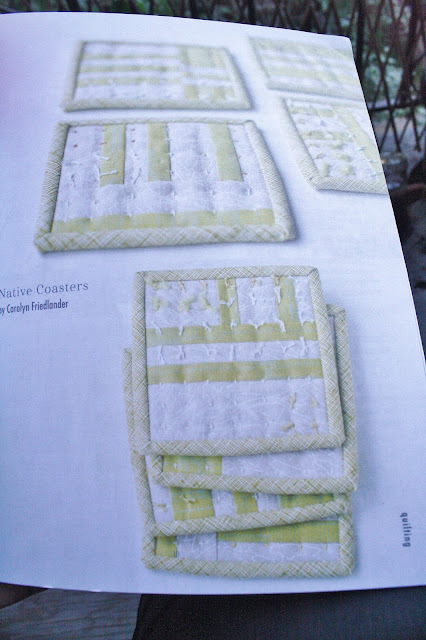 while the magazine features projects from several designers, i found myself swooning over one by CBH herself. 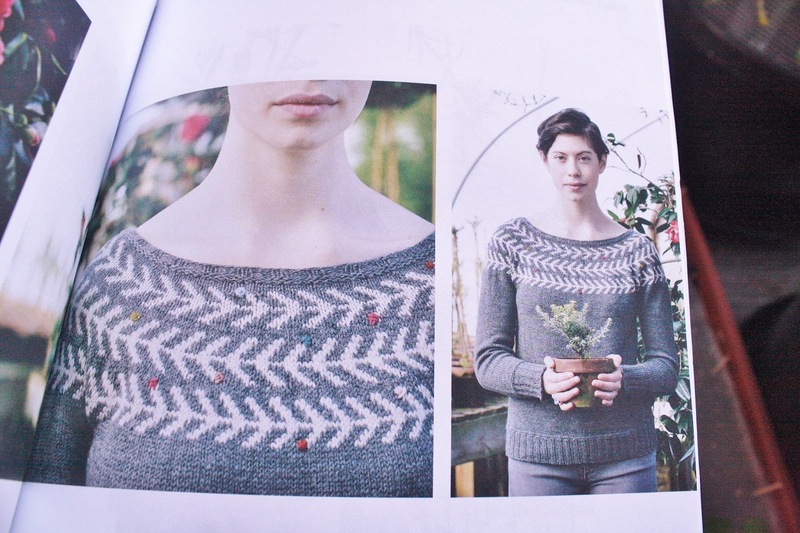 there i was, perusing the preview images, when i came across the Branches & Buds Pullover, and i gasped audibly. it is even more charming in hard-copy. i need this sweater in my life! 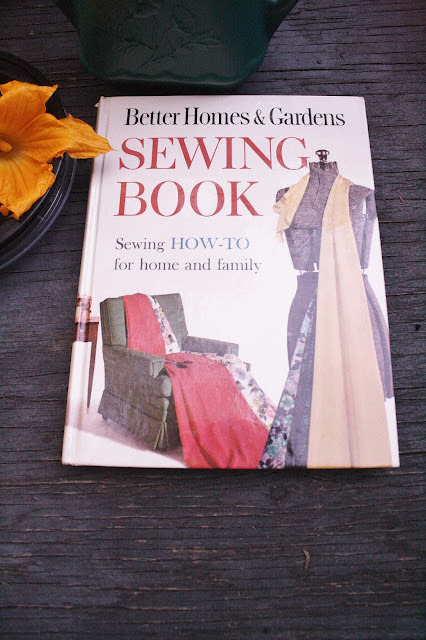 we found this vintage copy of the Better Homes & Gardens Sewing Book at the used bookstore, and it was a must-have for my craft library. it was originally published in the nineteen hundred and sixties (that does sound ancient), but it is a timeless reference of basic and advanced techniques that should come in very handy. then, just as i pulled the last book from the pile and started snapping away, my camera lost power. some may say the battery went dead, but i have read enough of this book to recognize the first stages of an assault. clearly, the garden gnomes do not want me to share this truth with the rest of the world. seems i may need to reconsider the prepper lifestyle after all. on a parting note, i was sorting through a batch of photos earlier today, when my attention was drawn to an odd repetitive noise. it stopped after a second or two, so i returned to sorting... and there it was again, a noise coming from outside, but in decidedly close proximity. this was the point when i tossed aside the librarian glasses, grabbed the nearest cat (that being the little grey one, as the other one was too busy napping to get involved), and bolted toward the balcony. 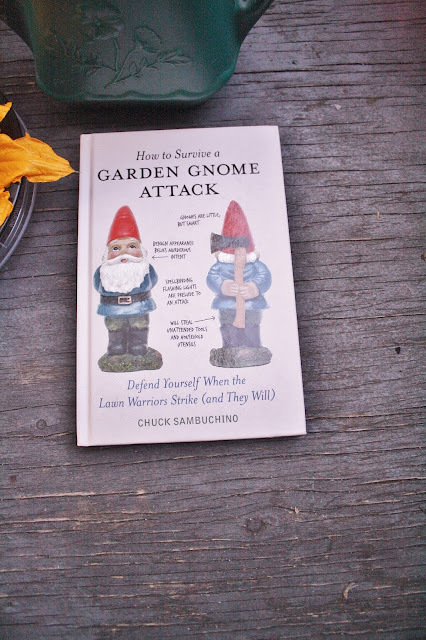 a tiny head popped up among the greenery, and i responded by shoving the cat through the door, in the general direction of the trespasser. then my cat, my bestest best girl, sat down on her haunches and proceeded to lick herself thoroughly, while the squirrel looked on with curiosity from the railing. having concluded that my cats are completely useless, i was forced to resort to harsher methods. 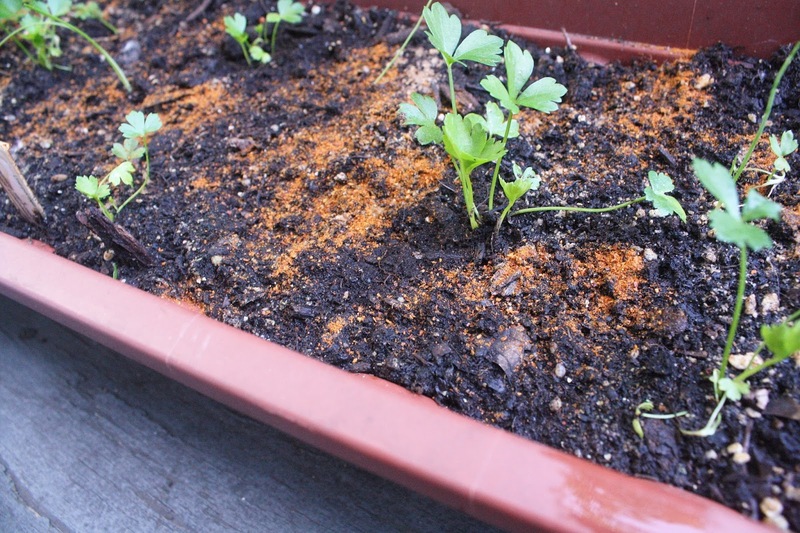 why was i squirting hot sauce on the balcony and sprinkling chili powder on soil, you ask? chemical warfare, i reply. wish me luck. i actually used the liquid from last year's beet water to dye some yarn a lovely deep rose color, but i gave it all away to a friend's daughter. you may be right about skipping the canning equipment. the fridge beets lasted many months, and they were delicious to the very last slice.